This is a studio portrait of Andrew Jackson Skeen and his family in Eskridge, Kansas. Skeen was the foreman of the Tanner Ranch at Eskridge. 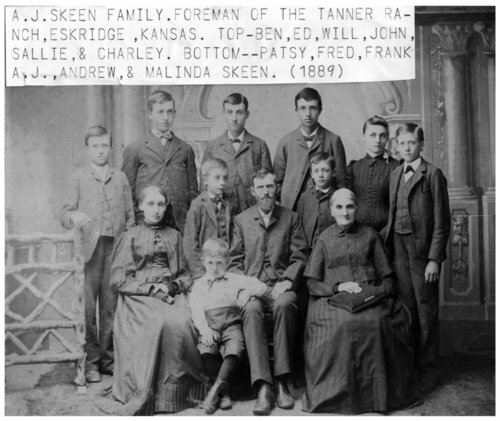 Other members of the family are identified as Ed, Patsy, Fred, Frank, John, Sarah 'Sally', William, Benjamin, Charles, Andrew, and his mother, Malinda Denning Skeen.